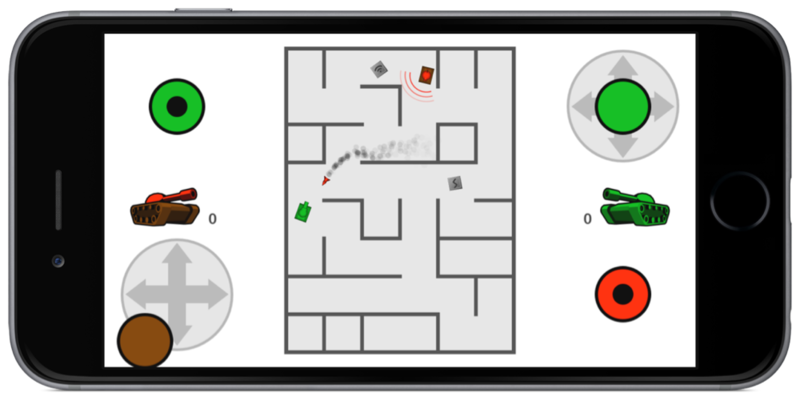 It’s been a long time coming but as of today TankTrouble is available for iOS devices! The iOS version includes both the Single Player and Local Multiplayer game modes that were present in the Android version but also contains some new features. Most notable among these are powerups! Yes TankTrouble is now even more chaotic and downright dangerous with the addition of four weapon powerups. Pick up the Gatling gun and hold the fire button to unleash a flurry of bullets, use the frag bomb to decimate your foes in a storm of shrapnel or bring destruction upon your enemies from afar with the RCMissile and Laser. Get the app for iOS here or for Android here! You haven’t posted in 6 months! Whats with the silence?